A new season may be here, but the frenzy for logomania is far from over. 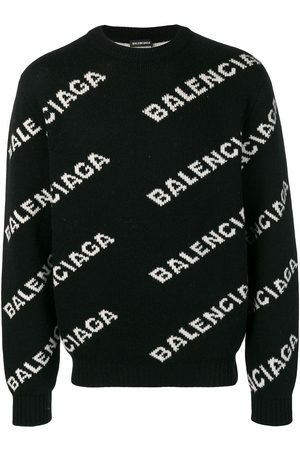 At the helm of the trend, Balenciaga continues to offer branded styles in its SS19 collection. 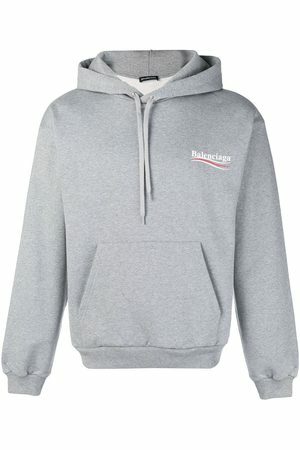 This grey cotton blend printed logo hoodie features a hood with drawstring tie fastenings, dropped shoulders, long sleeves, fitted cuffs, a central printed logo and a kangaroo pocket.